Glynis Johns is a famed Welsh actress who began her career at an early age as a ballet dancer, featuring in stage performances. As a result of her outstanding roles in these plays, she ventured into acting professionally. Her lead role in the movie Miranda brought her to stardom back in 1948 but she started acting long before that. Over the years, the Welsh actress has appeared in over sixty movies and starred in numerous television series, as well as stage plays before ending her acting career in 1999 after she was cast in the movie Superstar. The multi-talented star is known as a singer, dancer, keyboardist and a retired actress. She was born on the 5th day of October 1923, in Pretoria, South Africa, when her parents were on tour. Her father, Mervyn Johns was a professional actor while the mother, Alice Maude Steele was a keyboardist. Concerning her early education, the actress is said to have attended Clifton High School in Bristol, England, but later left the school for reasons not disclosed. Glynis John began her career as an actress when she was twelve, starring in a stage play Buckie’s Bear as a ballet dancer. After her performance in that play, she featured in other stage plays like St Helen at Old Vic, Children Hour, The Melody That Got Lost, Judgement Day, and A Kiss for Cinderella. In 1938, Glynis Johns’ acting career took a new turn as she moved from stage plays to making TV films. She was first seen in a movie version of the book “South Riding” – a novel by Winifred Holtby. The actress also had other small appearances in films like Murder in the Family, Under Your Hat, Prison without Bars, The Briggs Family and On the Night of the Fire. The Welsh actress rose to fame after she made an appearance in the movie Miranda, directed by Ken Annakin. The movie which was also a big hit attracted many other filming roles for Glynis Johns as a lead character. Towards the 90s, the actress is said to have starred in more than sixty movies and sitcoms which include Adventure in Paradise, The Naked City, 12 O’clock High, Batman, The Love Boat, Cheers amongst others. 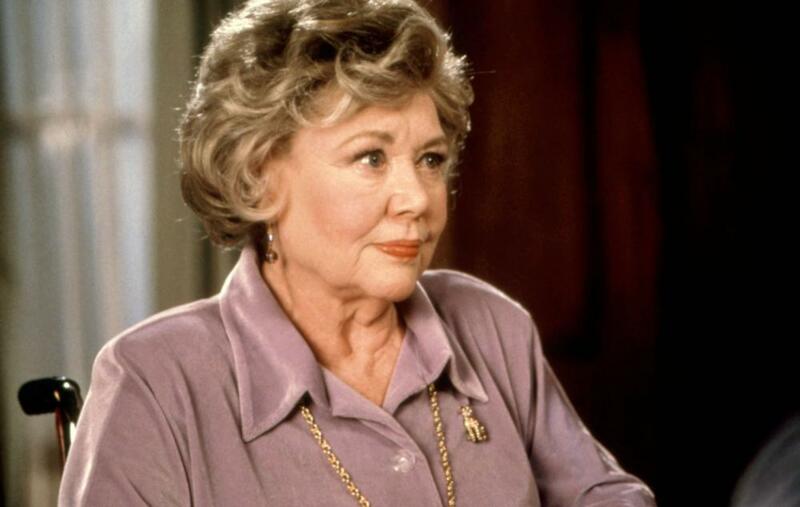 It is worth knowing that Glynis Johns was nominated in 1960 for an Oscar award under the category of Best Performance by an Actress in a Supporting Role and three years after, she was also nominated for the Golden Globe Award, under the category of Best Performance by an Actress in a Motion Picture. Finally, in 1973, Glynis became the winner of the Tony Musical Award for her role in A Little Night Music. Speaking of her marital life, the veteran actress has been married four times. She first got married to Anthony Forwood in 1942 and the union was blessed with a son Gareth Forwood who later tuned out to be an actor but his career was cut short in 2007 when he died. We also gathered that Glynis Johns’s marriage to Anthony lasted for only 6 years. The actress got married the second time to David Foster in 1952, but the marriage, like the first, also ended in a divorce. Still bent on finding Mr. Right, Glynis Johns got married to her third husband Cecil Henderson in 1960 but the marriage only lasted for about two years before hitting the rocks in 1962. Glynis’ final attempt at marriage was in 1964, to Elliott Arnold, and this one also suffered the same fate as her previous unions – they both parted ways shortly after they got married. The multi-talented Welsh actress is not on the tall side when it comes to height as she is notably a 5 ft 4-inch tall lady. Although she was not known as a tall lady during her active career days, Glynis Johns was, however, known to be a good looking young lady who had a remarkable husky voice that was intriguing to the viewing public.